The reference above shows the state spending per capita. I am not sue what conclusions I draw from it. For me, it points out the difference towards government that must exist in each state. If you rank by physical size, the numbers don't correlate. Rank by population, the numbers don't correlate. In several threads the high or low property tax rate or total property tax is noted for several state. I have always felt that isolating a single tax from the other taxes in a state gave an inaccurate picture. When we lived in San Francisco, the property tax rate was low, however, we could not afford to buy a home so it mattered little. Looking at the table I see that CA spends almost $2,000 per capita than TX. So while you may, or may not pay less property tax, sales tax, income tax or fees when compared individually, CA still has to collect more from its citizens. I'll give you my standard reply to these types of surveys. It isn't worth much and really tells you very little. Texas has no state property tax but we are taxed heavily for schools, counties, water districts, hospital districts, community colleges..... This won't show up in any summary of Texas' spending because these taxes are collected by and support more local entities. There is also a meaningful local component of sales tax that I don't know if it shows up as state revenue that's "shared." A minor part of a schools' budget is direct state money. Many states support their schools with statewide taxes and have similar statewide funding for some of the other things collected in Texas locally. I think that this summary probably just stayed at the state level and didn't look at the whole picture. Yes, but I bet in air conditioning alone, most Californians save that $2000! Last year the total electric bill in our 2,700 sf all-electric house was $1,818. I estimate ~$750 of that was for cooling (but man was it worth it!). I live north of Houston and seldom have an electric bill over $200 for our 2563 sq ft house and only one or two of them. The normal electric bill is around $100 to $150. When it's cold, it will go under $100 for a few months. We do have gas heat, hot water and cooking which will actually get over $50/month for a couple months during the winter. Otherwise, it's usually under $40. Since I'm currently being paid to post here, I'm not at home to whip out my exact costs like REW. Last year the total electric bill in our 2,700 sf all-electric house was $1,818 $2191. Do not know how much is for A/C though. Anyway, the OP article is still interesting as it shows that while some states like Florida and Nevada spend as little as $3K+, states like Wyoming and West Virginia spend $11K! Top of the list is Alaska at $19K. Whoa! What is that all about? For the last 20 years living here just north of Houston, our power bill has averaged around $160/month for a 2,100 square foot two story house with gas heat and gas appliances. How I know is that we set up our billing to be on a level payment plan and the monthly bill averages between $140 (winter) - $180 (summer), depending on accumulated credits month to month. Top of the list is Alaska at $19K. Whoa! What is that all about? We have a daughter and SIL living near Anchorage. Everything in that state is expensive since it is imported (except snow). Alaska also gives back money every year to residents based on oil royalties. I don't know if this is part of that cost. OK, Texans, y'all win on the A/C and heating issue. But I'll still pay my sunshine tax and avoid all those things on REWahoo's famous list. My understanding is that Texans can't legally buy a Tesla in their home state. So much for free enterprise and capitalism. My understanding is that Texans can't legally buy a Tesla in their home state. "Get them sheep outta here - this here is cattle country!" I like Texans. They are wonderful people. And make great BBQ!! Their per capita tax burden is pretty low also. New Jersey, and Arizona also forbid Tesla from selling direct to consumer. Several other states also have restrictions on selling direct. Clearly, this is not something a tech reviewer living in, say, Maryland might do. But in Texas, this is how we roll. The towns mentioned are all located behind the Pine Curtain. You'll need to show your passport at the border crossing, but if you weigh 250 or more, wear well-worn bib overalls and a DeKalb Feed gimmie cap, you might be able to pass through without getting checked. My 2600 sf house is gas heat, gas water heat, gas vlothes dryer and I pay $1500 per year for electricity. Looking at cost differential between August and January bills I'd say only 20-25% at most is for AC which surprised me, but I do have a SEER over 22 on my condensing unit and a variable speed blower. I program night and unoccupied setback and preoccupied cooldown as well. We have the house lit up a lot and the kids use lots of lit up screens, but most of my lights are LED or CFL. Now my annual gas cost is just under $1000. But my property tax is almost $6000 per year. 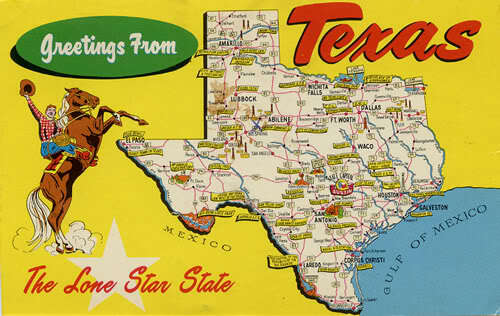 Texas has no state income tax and derives a lot of revenue from oil & gas production royalties. That is part of the reason we are where we are. The state does have a screwy sales tax computation as it has a base tax of 6.25%, and then most towns and other organizations can add a "special purpose district" tax to the base. The total tax base plus adders from SPD's can't exceed 8.25%. (and to Walt34, Orchirdflower is not a true Yankee as he is from Chicago. True Yankees are like me....from Connecticut (but I have graduated into a Texan over the years). Alaska is... what a America was.